she returns to her hometown, Moosetookalook, Maine, to recover, figure out what she's going to do next, and help her aunt run Moosetookalook Scottish Emporium. What she doesn't count on is murder. 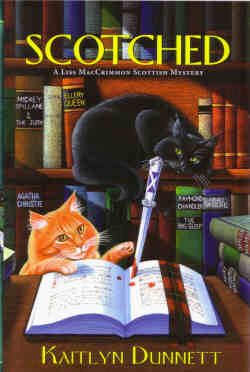 Liss MacCrimmon's old dance company comes for a visit and murder is there to greet them. Once again the scene is rural Moosetookalook, Maine, where old friends and new join forces to find a killer. 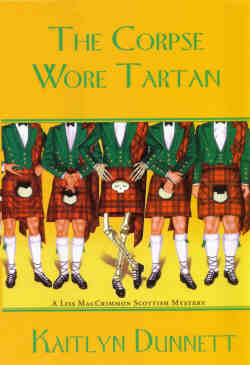 The bagpipes are blaring at The Spruces, Moosetookalook's finest hotel, reopened just in time to host the Burns Night Supper, an annual celebration of Scotland's beloved poet, Robert Burns. In the midst of a long Maine winter, the festivities are just the thing to give the hotel a much needed boost - and to bring fresh business to Liss's shop. 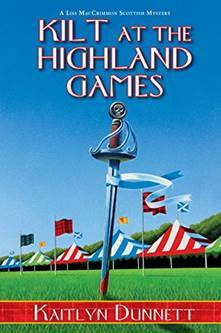 But when the Scottish Heritage Appreciation Society arrives on the scene, they bring more than a hunger for haggis and a passion for plaid. The quarrelsome group harbors their share of long held grudges, and the animosity only grows as the whiskey flows. Then a fierce blizzard hits, trapping everyone - angry Scotsmen, hapless hotel staff, and Liss herself - inside. "In time-honored Agatha Christie tradition, the blizzard provides an inviting, insular crime scene bristling with suspects." "This is a teriffic locked room (locked hotel is more descriptive) mystery." Hundreds of the most creative minds in murder are assembling in the tiny town of Moosetookalook, Maine - and before the final page is turned, one of them will be writing in the past tense . 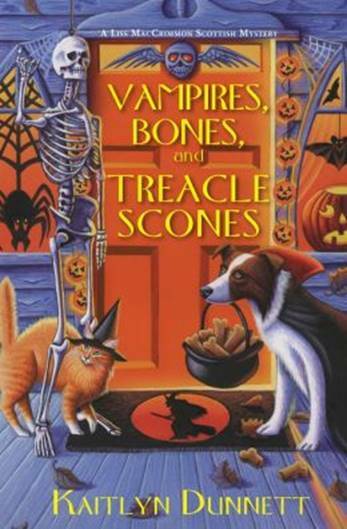 . .
Vampires, Bones, and Treacle Scones takes place at Halloween in Moosetookalook, Maine. In this adventure, newlywed Liss and her friends are trying to turn an abandoned house into a haunted mansion as a fundraiser. Minor mishaps and objects that mysteriously vanish only to reappear somewhere else seem like harmless pranks at first, but the game turns deadly when a skeleton Liss acquires for a special effect is replaced by the very real, very dead body of someone she knows. 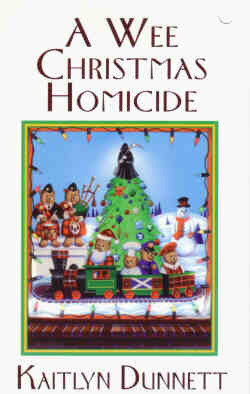 In HO-HO-HOMICIDE, set five years after the end of the last entry in the series, an old friend asks Liss MacCrimmon Ruskin and her husband Dan to spend a week on a Maine Christmas tree farm, evaluating its potential as a profitable seasonal business, Liss thinks they're in for an idyllic vacation. Boy is she wrong! Between a missing person, an unidentified body, a mysterious maze, and a series of accidents there's no time to relax. To add to the pressure, the deadline to open a cut-your-own operation at the Christmas tree farm for the current season is fast approaching. And then there's that other matter, the very personal one Liss hoped she and Dan would have time to talk about once they were away from their usual busy routine. 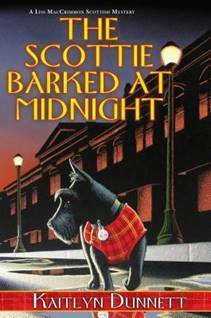 There are actually two Scottish Terriers, Dandy and Dondi. They are two thirds of an act called Deidre and her Dancing Doggies, in Maine to perform on a television reality/competition show. 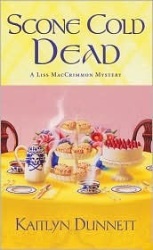 When Dandy goes missing, it is Liss who returns her to her owner. Little does she know that this act of kindness will lead her straight into the middle of another murder investigation.